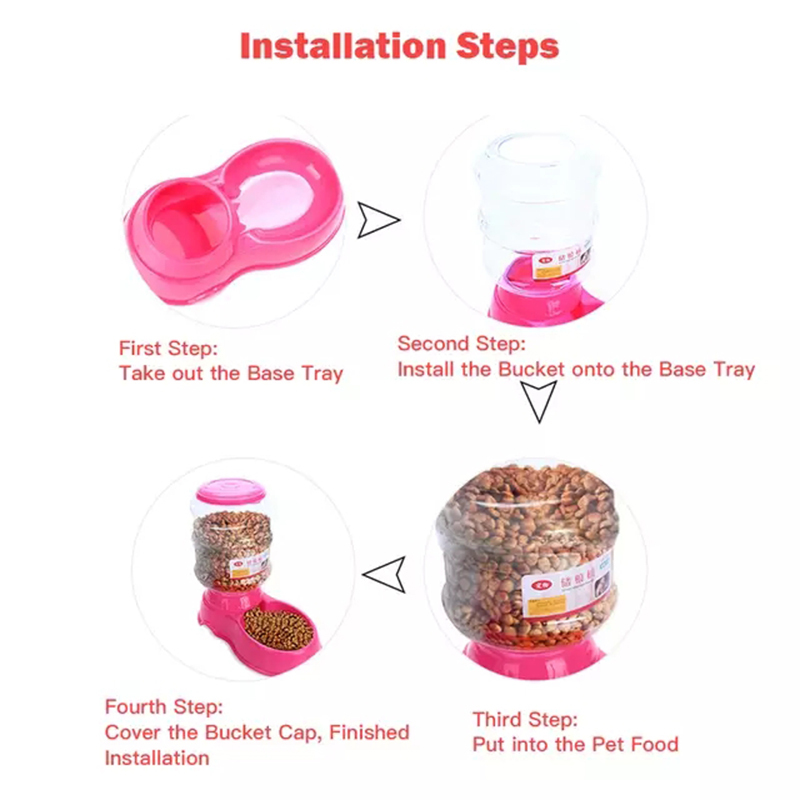 Easy to be detached and easy cleaning. 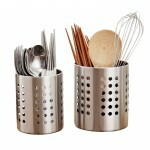 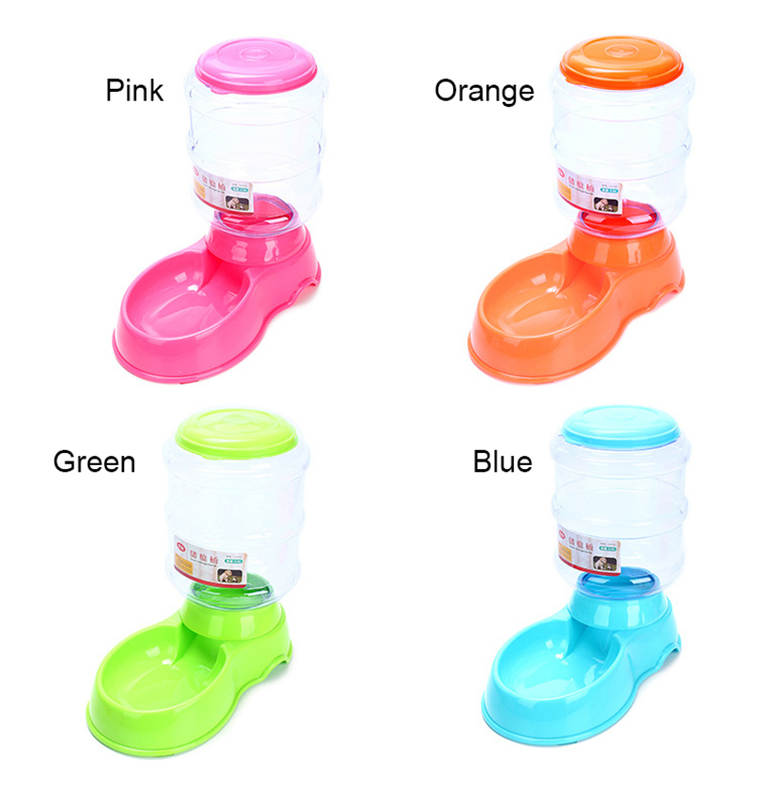 Made of food grade plastic, Eco-friendly, safe and non-toxic. 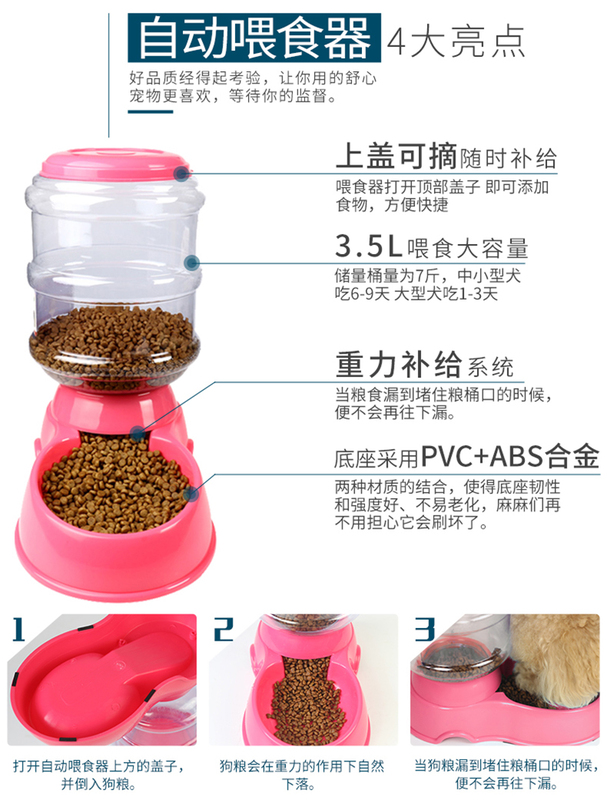 Please clean this product regularly for your pet healthy. 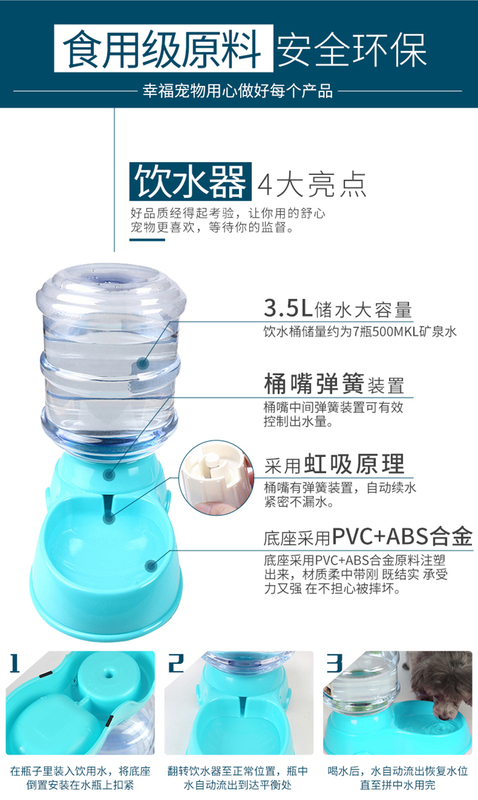 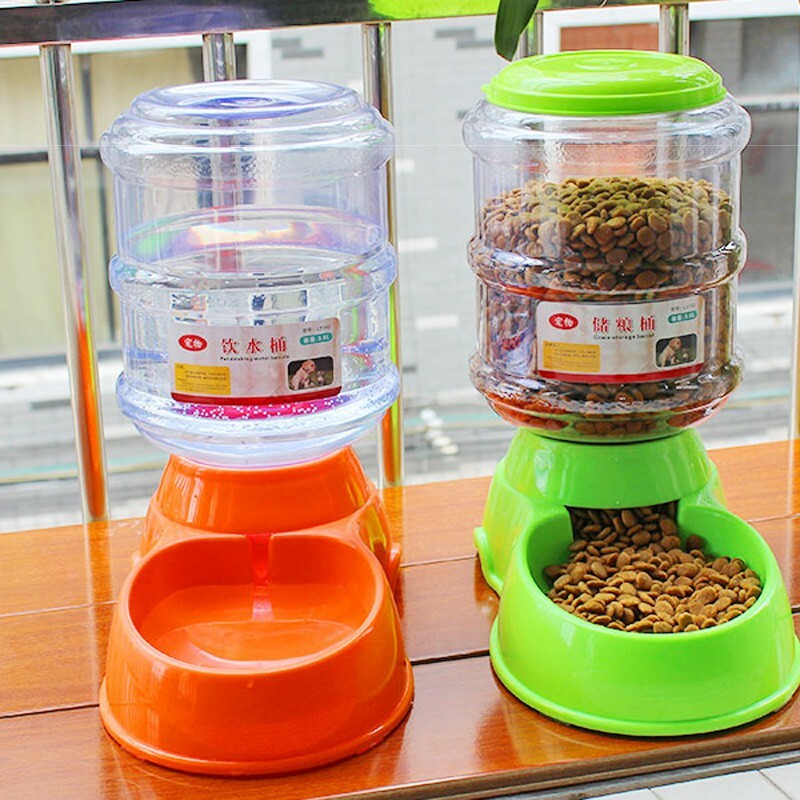 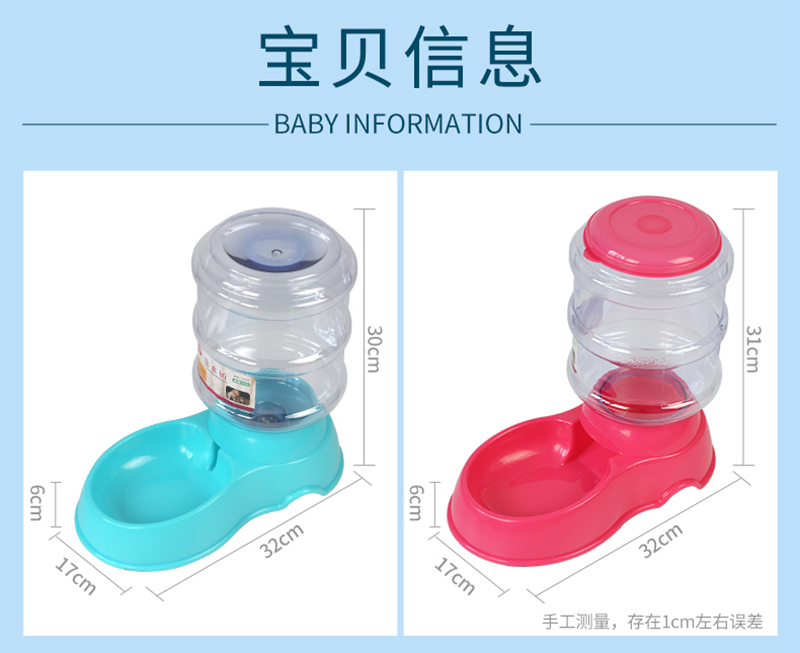 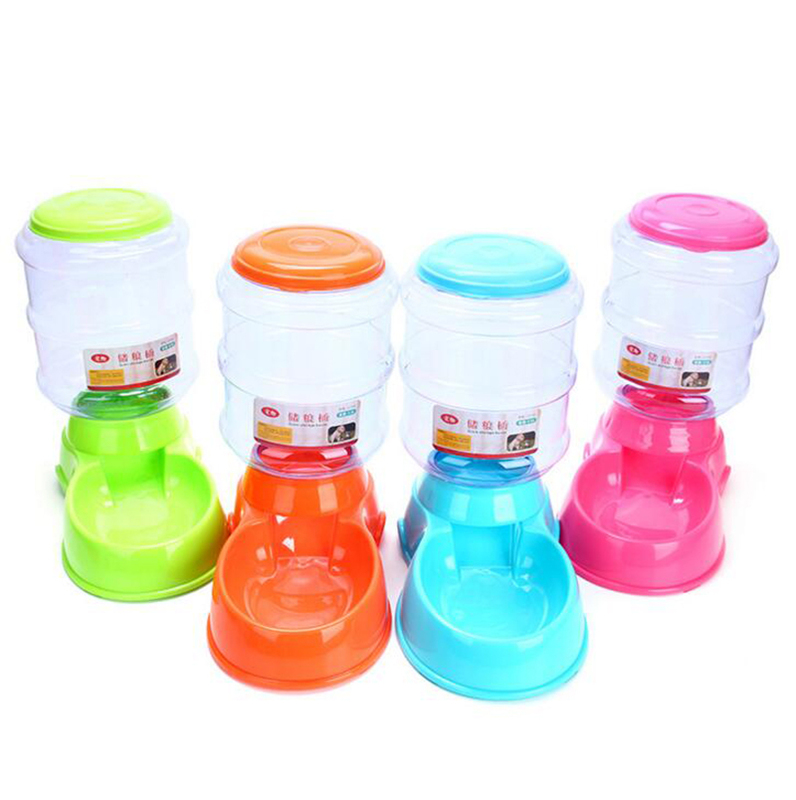 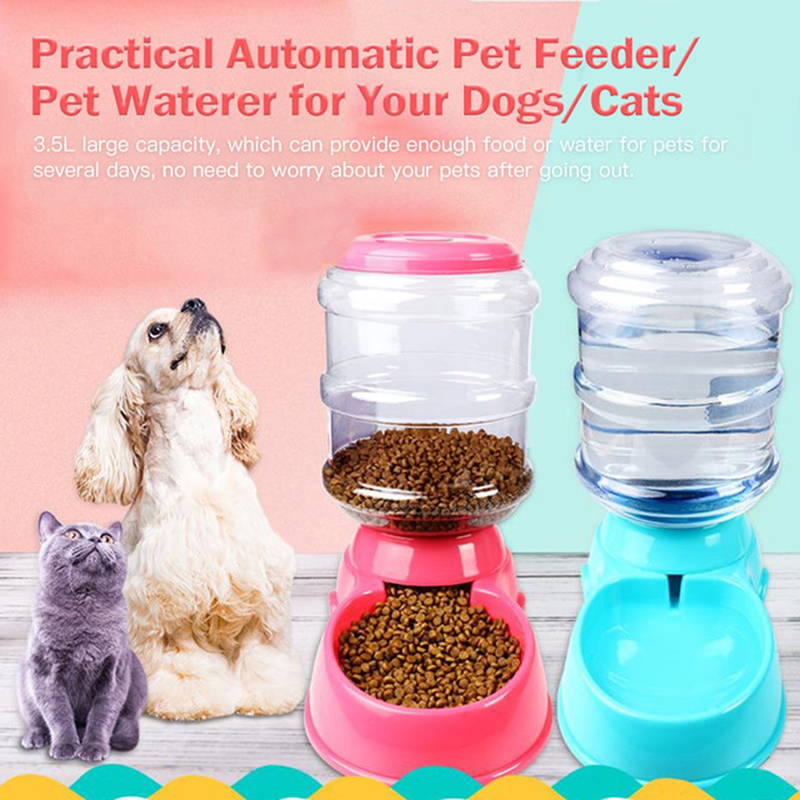 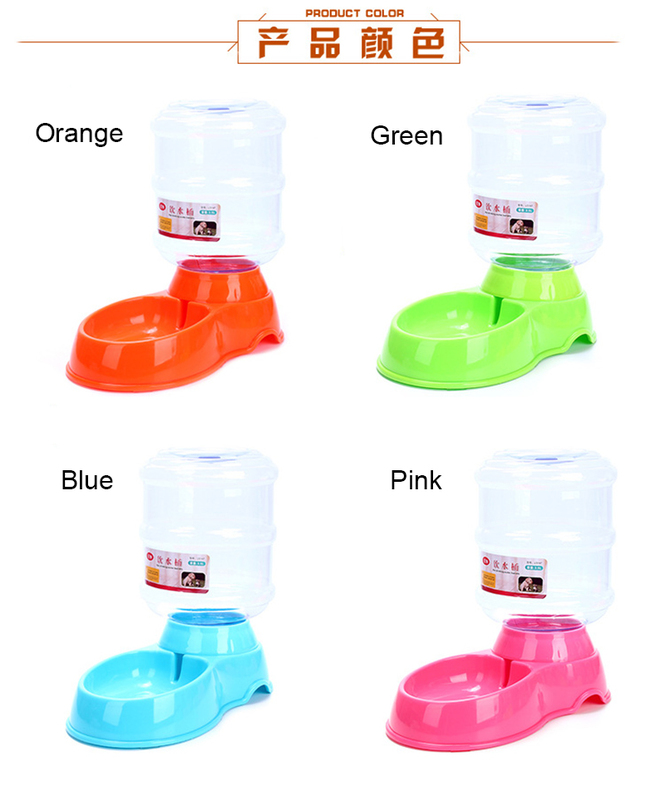 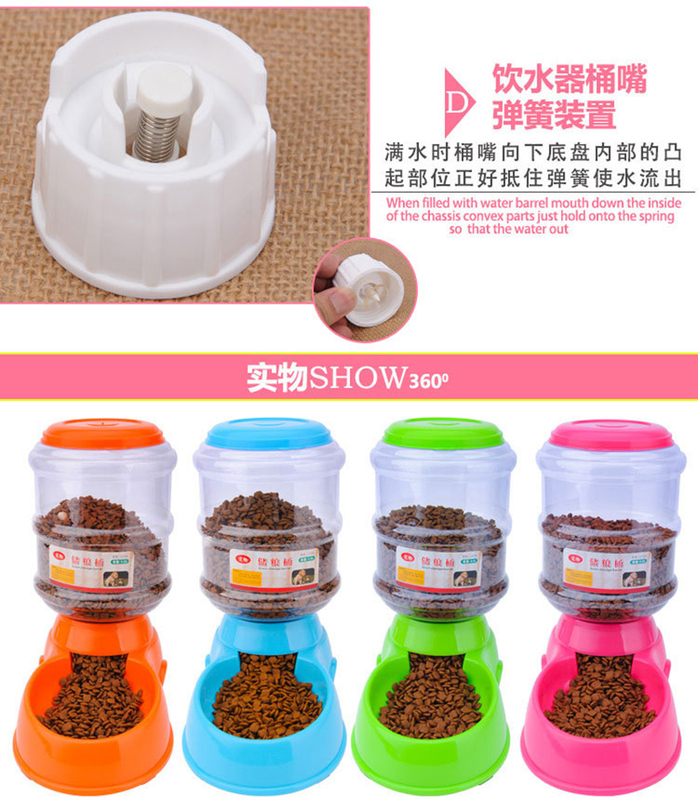 3.5L Large Automatic Pet Food Drink Feeder Device. 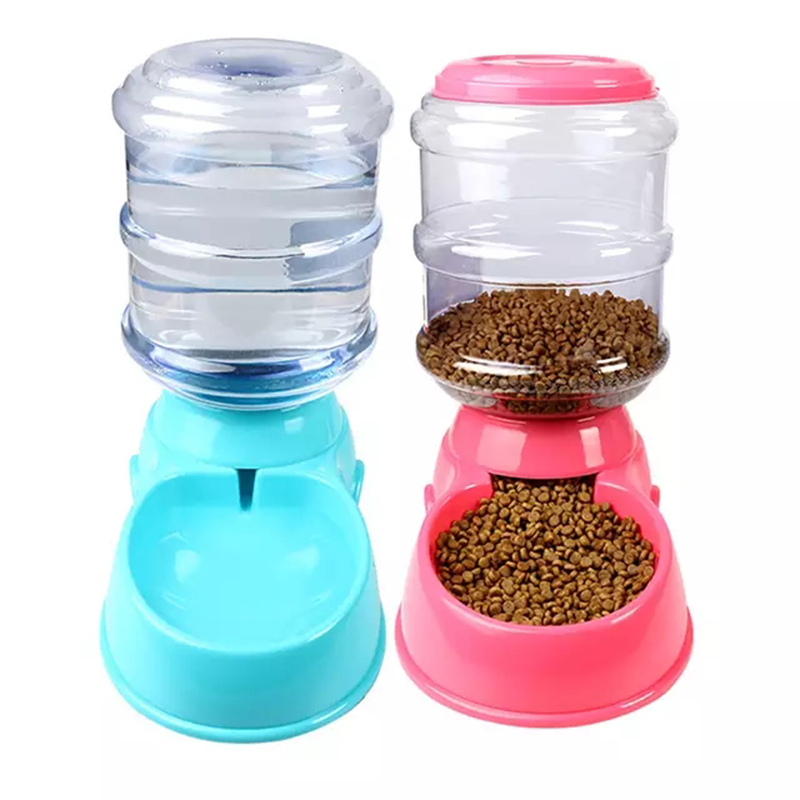 A useful assistant to help feed pet while you leave for a short time. 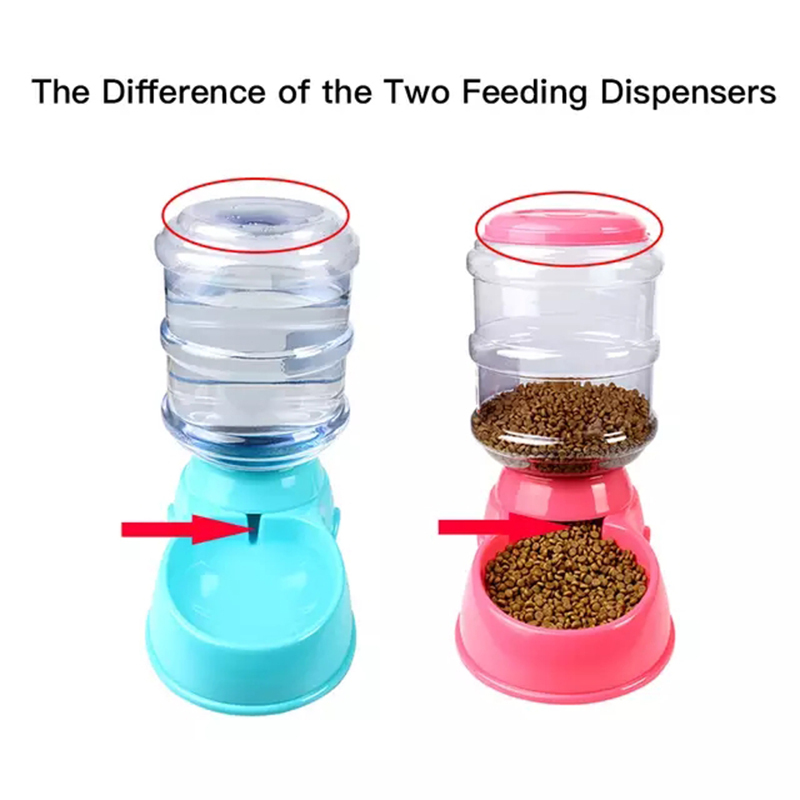 Save your time and energy to feed your pet.